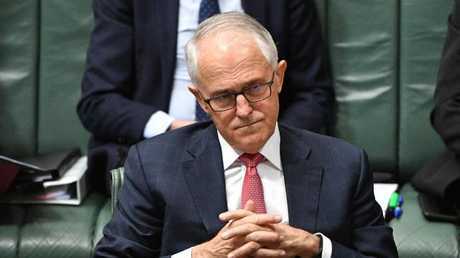 PRIME Minister Malcolm Turnbull has joined the widespread condemnation of Queensland Senator Fraser Anning for invoking the words "final solution" in his first speech. The Katter's Australia Party senator is under fire from all sides of parliament for using the phrase, which has been historically associated with the World War II Nazi Germany plan to murder Jewish people. 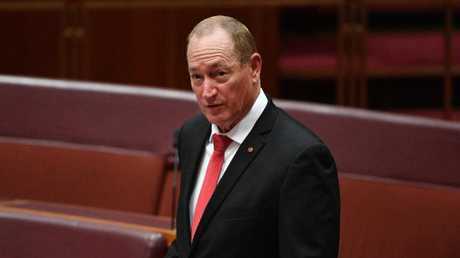 In his Senate speech, Senator Anning called for immigration that favoured "European Christian" values and plebiscite on which migrants can come to Australia. "The final solution to the immigration problem is, of course, a popular vote," the Queensland MP said. He also wants to ban Muslims from migrating to Australia. "While all Muslims are not terrorists, certainly all terrorists these days are Muslims," he said. "So why would anyone want to bring more of them here?" Independent senator Derryn Hinch described the speech as excruciating and "Pauline Hanson on steroids". 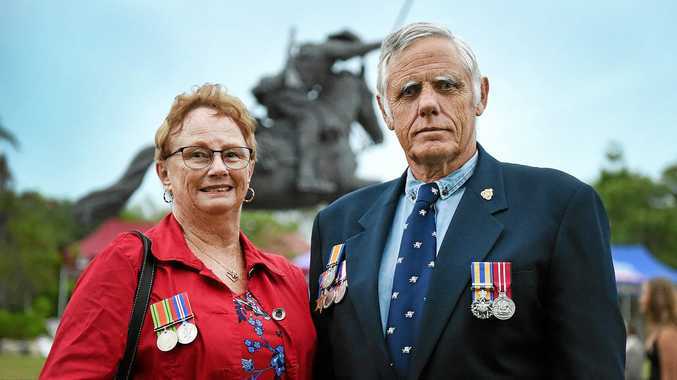 "There was hardly a group of Australians he did not offend unless you were very close to being a member of the Ku Klux Klan," he told ABC radio. After senior Labor frontbenchers Tony Burke and Chris Bowen attacked the speech, Senator Anning responded by saying people on the left were trying to shut down debate on immigration. "Claims that the words meant anything other than the ultimate solution to any political question is always a popular vote are simply ridiculous," Senator Anning said in a statement. "Anyone who actually reads them in context will realise this." Mr Turnbull said he condemned "racism". "Australia is the most successful multicultural society in the world built on a foundation of mutual respect. We reject and condemn racism in any form," he tweeted. Cabinet minister Mitch Fifield said the speech was deeply regrettable, telling Nine Network: "I thought we had moved beyond this in the parliament. Australia is a warm and open nation." Citizenship Minister Alan Tudge rejected Senator Anning's immigration stance. "We will always maintain a non-discriminatory immigration program." Around 1942, the Nazi leadership established a plan called "The Final Solution to the Jewish Question", which led to the mass genocide of Jewish people in occupied Europe.